The term “probate” refers to the process of distributing the estate of a person who has passed away. 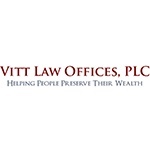 The probate process facilitates the change of legal title of property, and the distribution of property in accordance with terms of the Will of a deceased person. If a person dies without a valid will in place then her estate will be distributed in accordance with state specific rules of intestacy. Each state has its own laws governing the probate process, but in general the probate process involves the validation of the will, the appointment of an executor, an inventory of the estate, the payment of any creditor claims against the estate, the payment of estate taxes, and the distribution of the remaining estate assets. It is estimated that almost half of all adults in the United States die without a will. A person who dies without a will is said to have died “intestate,” and the property of a deceased person who dies intestate will be distributed to his or her heirs according the laws of intestacy of the state in which the deceased resided.